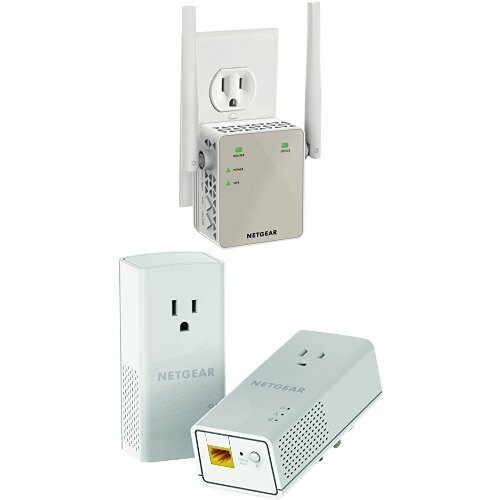 Netgear AC1200 WiFi Range Extender - Essentials Edition (EX6120-100NAS) & Netgear Powerline 1200 + Extra Outlet (PLP1200-100PAS) Bundle by NETGEAR at AABX. Hurry! Limited time offer. Offer valid only while supplies last.